Good health habits don’t happen in the doctor’s office, they happen at home. As a parent, it can be tough to juggle all of life’s responsibilities and make sure your child learns everything they need to know. It’s not like there is a rule book, and experts are often in disagreement on many points. But, there are some general steps you can take to ensure your kid is learning the right health habits. Here are just a few that can help your kid get on track for many years of healthy growth to come. Much more so than adults, kids learn by mimicking their authorities. While you by no means have to be perfect, if you are not practicing what you preach, chances are that your child will notice and respond accordingly. That’s not to say you shouldn’t ever rely on authority. For instance, if you’ve had a long day at work, there’s no shame in skipping an exercise day while telling your kid to go outside and play. Just make sure the overall example you’re setting is consistent with what you are teaching your child. Child or adult, nobody likes to only focus on the negative. When teaching healthy habits, it helps to focus on what the child is gaining rather than what they’re giving up. If it is time to put away the video games, try replacing them with an equally fun activity, whether it be throwing a baseball, riding a bike, playing fetch with the dog, etc. Positive reinforcement tends to work much better than negative reinforcement, and used correctly will help the child come to the decision all on their own, rather than because an authority said to. Obviously, we are not saying you should take things like candy, video game time, or unhealthy snacks completely out of the picture. However, it is important that the reward doesn’t undercut the lesson. These things can be used as a motivator, provided that they are used in moderation. However, after a certain point, it is best to find other avenues of reward that are themselves healthy, so that unhealthy habits don’t become the goal. This is a common tactic that teachers use to teach young children all of the time. The key to forming good habits, besides repetition, is to minimize any negative associations with performing said habits. For instance, if you are trying to teach your kid healthy habits, you can make a game of reading the labels at the grocery store (bonus points for reading practice). One key to instilling habits in children is to make them think the habit was their idea, and games offer the perfect opportunity to do that. Combined with a reward, this can be extremely effective. Mealtime, especially dinner, is not only a biological necessity but an important part of cultural history and development. It’s a time when the whole family can get together and socialize. As a parent, it is a great chance to start healthy eating habits by preparing meals that are good for kids. Once they find some meals that they love, you can use them as a reward to further get your kid vested in their healthy habits. You can even get them involved in the meal preparation, teaching them useful skills, spending quality time, getting some help making dinner, and eating healthy all at the same time! There’s a lot to learn about being healthy. Chances are your kids will take better to some healthy habits than others; this is normal. When addressing habits that your child is having trouble with, it’s important to give them a voice to their problem. If you can understand why your kid is having trouble, then the problem becomes much easier to address. It can also alert you to other stresses in your child’s life. 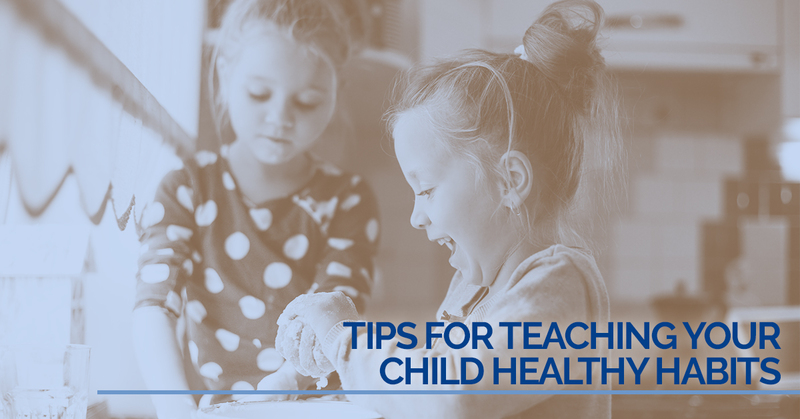 Hopefully, these tips prove helpful in teaching your child healthy living habits. For all of your child’s surgical needs, call the pediatric surgeons at Alaska Pediatric Surgery.